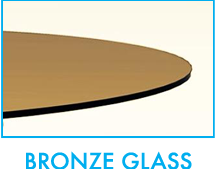 The 18” Round Glass Top is made of the highest quality furniture glass. This clear glass tabletop is available in two variations. It is available in a 3/8th inch thickness, which is tempered glass and has a smooth pencil edge & a weight of 15 lbs. 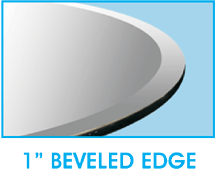 The other option features a 1” bevel edge and is ½” thick with a weight of 20 lbs. The edges of the glass are expertly polished to ensure a bright, smooth to the touch feel. 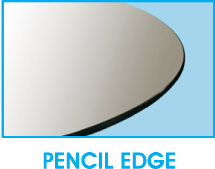 The pencil edge is a rounded, smooth edge that is perfect for glass table protectors. 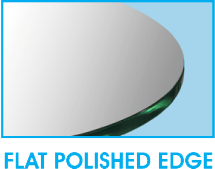 The beveled, or chamfered edge is commonly and widely used with glass and mirror for aesthetics giving it a decorative edge and safety so there are no sharp or rough edges. 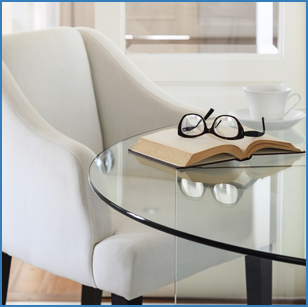 Each fab round glass top includes free bumpons to place in between the glass and base of the table. They are professionally packed and individually cartoned with Styrofoam to protect from breakage during transit. 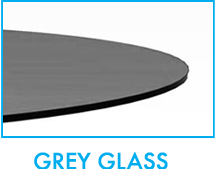 The 18” clear round glass tabletop ships quickly via Fedex and is also insured to ensure a safe arrival.